Starbucks, Racism, and the Anthropological Imagination – Luzilda Carrillo, Ph.D.
First published Oct 11 2018 in Anthropology News. Overwhelmingly, social scientists agree that corporate diversity trainings are not an effective way to rectify systemic inequity. Critics have argued that these practices do not address systemic racism, historical struggle, and oppression; rather, they enable corporations to conduct business as usual, while helping them appearing to be doing social good (Mohanty 2003, Ahmed 2017). But, what if we reframe the conversation, not as one that asks how these processes fail to bring us social justice, but instead as one that asks how and why corporations have become so important to American publics? Such a change in anthropological imagination might reveal to what extent American race relations are becoming embedded in everyday business. There are many reasons why Starbucks would choose to close their doors for racial bias training, paying wages andlosing revenue from unrealized sales. Certainly, this move can inoculate the company against discrimination lawsuits, as these often require proof of intent. Although compliance may be the simplest answer, through my fieldwork on diversity management I learned that consultants reject working under such logics. For consultants, compliance frameworks are limited, as they neglect the potential of diversity to generate profit. Consultants argue that managing diversity by addressing inclusion in the workplace helps improve brand image, promote employee engagement, and drive creativity and innovation. At the same time, diversity professionals, including consultants and human resource professionals, are not empty vessels of capitalist expertise. They are advocates of historically marginalized individuals in largely white spaces, and hence they are advocates for changing organizational culture so that it also addresses institutional racism. As seen with Starbucks, by framing antiracism within managerial practice, racism becomes a product of “unconscious biases” and evolutionary adaptations that make humans fearful of differences. These are also business problems, because they create disruptions in work. I am not writing this piece to uncritically applaud Starbucks for the work they are doing. Rather, I want to recognize these changes and ask that we reflect on what they mean for how we think about corporations, race, and capitalism today. Before Trump was elected as President, we had taken for granted that we lived in a colorblind era, wherein systemic racism was reproduced despite and through disavowals of racists (Bonilla-Silva 2008). 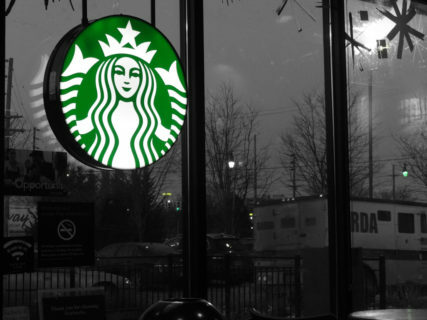 The Starbucks announcement points to how all this is changing: well intentioned white-collar professionals are turning to experts to help them understand “bias” where there may be no intention to discriminate, and what is more, these corporations are taking explicit positions against racism and creating organizational techniques to purportedly address these historical harms. Starbucks is following diversity “best practices,” the organizational techniques that leading management experts approve as worthy of being instituted. The CEO of the company, Kevin Johnson, a white man, apologized publicly for the discrimination experienced by black customers (possibly against legal advice), announced his commitment to inclusion, and reinforced this message by making a public gesture: closing thousands of stores on the same day. Starbucks also hired prominent experts in racial discrimination who recognize that such a racial bias training needs to have measurable outcomes and accountability systems in place. Anthropologists of capitalism, in particular, should take heed of the fact that corporations like Starbucks have the power to shape capitalist discourse. Starbucks’ representatives, for instance, said they will publish the trainings that they will develop for public use. Their goal is to influence the creation of new teaching tools, metrics, and workplace policies to address racial discrimination in business. Insofar as corporations have the resources and social capital to set standards for how to do business, we should listen when they claim to be creating new moral grounds for capitalism. Perhaps this allure to how business can be used to do good partially explains why diversity, while a business construct, has also become part of everyday operations in higher-education institutions and nonprofit organizations. I am not writing this piece to uncritically applaud Starbucks for the work they are doing. Rather, I want to recognize these changes and ask that we reflect on what they mean for how we think about corporations, race, and capitalism today. In doing so, I suggest that we re-examine the complicated relationship between economics and morality, and create new analytics for understanding how we have never actually been post-racial. As Starbucks is showing, it is not only “social justice warriors” that are concerned with racial discrimination in America; it is also the concern of a large consumer public. Insofar as there is a market for antiracism practice, corporations will attempt to capitalize on it. As critics of corporations and capitalism, we know best that this is not entirely a positive development in history, and it is our duty to understand how and why this has come to be. So, how do we begin to re-imagine the relationship between corporate capitalism and American race relations? I suggest that we begin by addressing our own anxiety over studying corporations and interrupt our assumptions of them as evil. The latter analytic does not facilitate the kind of nuanced analysis that can explain how, sometimes, capitalist humans are sincere actors trying to “do good” in a messy world. Yet, I also caution us to keep in mind that sincerity in moral and “antiracist” concern is not about authenticity, but performance, productivity, and meaning (Jackson 2001). These contradictions are observable if we pay attention to the intersections of concerns about profit and society. An analytic of negotiation, in contrast to one of the reproduction of evil, might help us better understand how capitalism continues to be generated, purportedly as an improvement.